The benefit to you is an opportunity to share your blessing with the whole community in a very carefully managed way, helping this and future generations. The Alden Area Community Foundation provides a simple, powerful, highly personal approach to giving. You may make a gift of cash, securities, real estate, life insurance, annuities and/or personal property directly to the Foundation or through a bequest, trust arrangement or retirement plan assets. Endowment fund: A permanent fund, from which a percentage of the assets is used by Alden Area Community Foundation annually for grant awards. Unrestricted fund: The account allowing Alden Area Community Foundation the greatest flexibility in using funds to respond to the ever-changing needs in the greater Alden area. 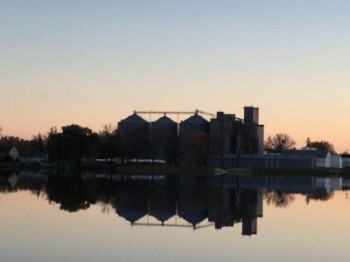 Designated fund: The account providing donors the most flexibility, allowing them to specify one or more of the special project areas endorsed by the Alden Area Community Foundation to receive their gift. All contributions are tax-deductible. 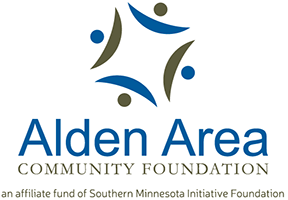 Alden Area Community Foundation is an affiliated fund of Southern Minnesota Initiative Foundation, a registered 501(c)(3) organization, which provides assistance and funds management. The foundation is dedicated to supporting projects that improve the quality of life in the greater Alden area. To fulfill this mission, we need your continued support. We welcome and appreciate all donations. Current gifts are primarily received in the form of checks. Gifts of real estate, securities, and personal property can be made with advanced coordination with the foundation. Deferred gifts can include bequests, life insurance, trusts with charitable provisions. Special gifts may be a memorial, a gift to honor a living person, or a commemorative gift. Your gifts are tax deductible. Tax law is complex and offers many opportunities. Be sure to explore your options fully. Remember, not all gifts come in cash. Your participation, promotion and volunteering for the help of this community foundation is very important. You receive accountability when you give. The foundation uses utmost care and public responsibility in managing the trust and the organization while honoring confidentiality and anonymity when requested.